Have you ever wondering what your donation to JDRF actually does? Every year (well, twice per year), I do the JDRF Walk to Cure Diabetes in Western New York (Buffalo) and Westchester County (North of NYC). 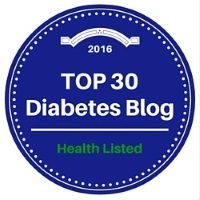 I often get asked what is new in the diabetes community? What changes have been made since their previous year’s donation? Why should they donate again? This year, I can happily explain a few different things going on in the community because of your donations to JDRF — the world’s largest funded organization for type 1 diabetes research. I wanted to kick off the month of November, a.k.a. Diabetes Month, with some great news!! Firstly, I want to say a big thank you to everyone who donated and participated in the 2014 Westchester Walk to Cure Diabetes last Sunday. Our team, Calla’s Crusaders is still accepting donations until the end of November by clicking here. Secondly, there is new news out this week in the diabetes community!! JDRF-funded partner ViaCyte, has for the first time ever implanted a person with type 1 diabetes (T1D) with an experimental encapsulated cell replacement therapy called VC-01™. The person is participating in a trial to evaluate the safety and efficacy of the VC-01 product candidate, a potential replacement source of insulin-producing cells. Encapsulated cell replacement therapies have the potential to fundamentally transform the management of T1D by restoring a person’s independence from insulin injections. The stem cell-derived cells are designed to replace a person’s lost insulin-producing ability while being protected from the ongoing T1D autoimmune attack. This day would not have been possible without JDRF-funded years of stem cell research and the insights learned to protect them from the autoimmune attack. Thanks to our many supporters who helped make this historic day a reality. Let’s celebrate what we have together achieved in our fight against T1D, as we look forward to the full enrollment and results from this study which could move us one step closer to discovering a new and effective treatment for T1D. Read more here. I cannot answer all of your questions, as I am learning about all these developments too! Please, feel free to ask your questions below, or you can email your detailed questions to info@jdrf.org.